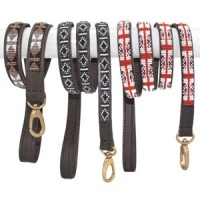 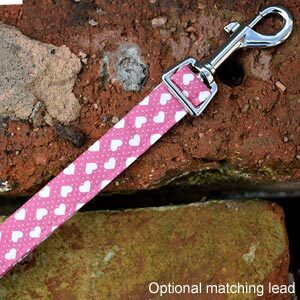 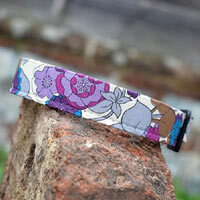 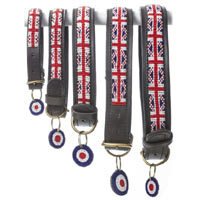 Love is all around with this very sweet Be My Valentine dog collar and optional matching lead. 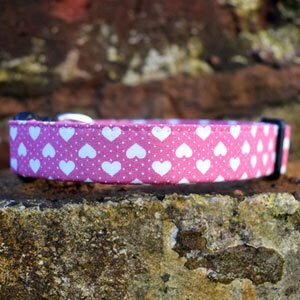 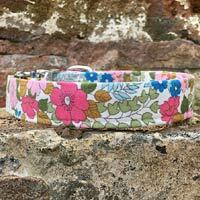 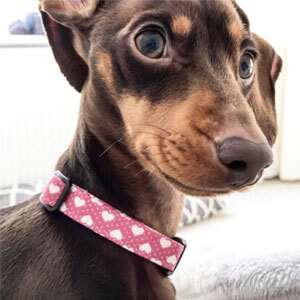 Pretty pink collar decorated with little white hearts design. We love it.